It’s Zenbo Junior time! Who’s ready? Pre Order Zenbo Junior – What is it? 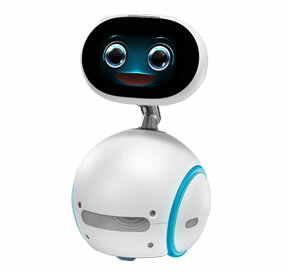 It's Zenbo, the Asus robot. A website dedicated to the Asus Zenbo robot. Pre order, price, where to buy, faq, images, news, hands-on and more! We’ve all been clamoring for Zenbo news and frankly some of you have been disappointed with the waiting. Well, there is some news to report and its positive. How does Zenbo Junior grab you? A reliable source is indicating that a new Zenbo model is coming soon but it will be known as Zenbo Junior. What that exactly means is a bit unclear. Smaller? Seems very likely. We’re updating this post in the next day as we dig around this latest leak. Subscribe to our mailing list for Zenbo pre order notifications. If using Gmail, note that newsletters will get redirected into your Gmail "promotions" tab! © 2019 Pre Order Zenbo Junior – What is it? It's Zenbo, the Asus robot.. All Rights Reserved.